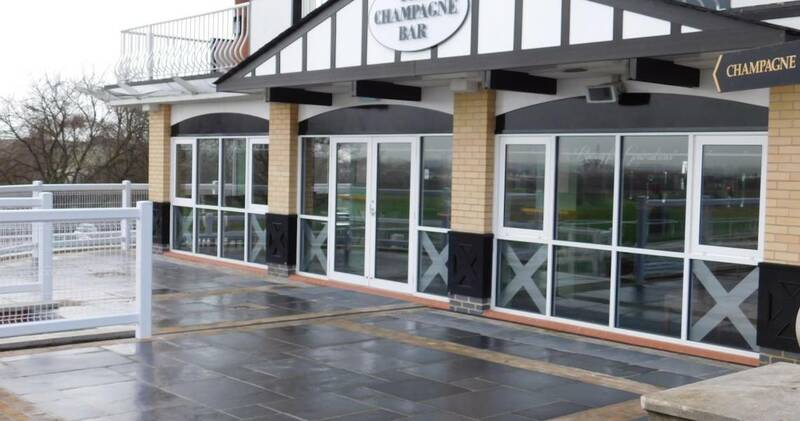 This Champagne Bar were looking to improve their outdoor space to become a welcoming space to their customers as well as a space that can be used over the summer months. The paving for this project was supplied by RF Paving and meets the high standards of the champagne bar who have a high class clientele. Kota Black Limestone was used due to its Limestone characteristics. Limestone has a much smoother surface than most of the Natural Sandstone products. This is particularly useful due to this area having a lot of foot traffic as it makes the area safer on a commercial level. The black shade is particularly stunning and complements the Champagne Bar perfectly following the black and white décor on the building. 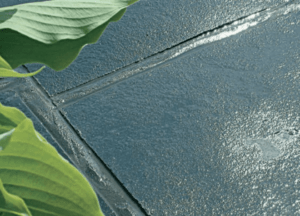 The Kota Black Limestone is 22mm calibrated in depth, making it an ideal slab for the exterior use. On the steps and surrounding area RF Kota Black Cobbles 100 x 100mm were used for edging and also as a feature on the steps. 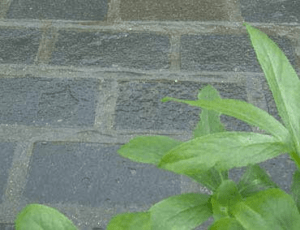 The cobbles offer an attractive and durable surface so are ideal in the areas they were used. Each cobble is hand cut and is cut to 40-60mm in depth. Norman at Castleford Block paving was the landscaper who laid this paving and he did a great job. He ensured that after it was laid it was sealed with our RF Colour Enhancer Sealant which will protect it over the years from spilt drinks and anything else that may happen to be dropped onto the slabs. For this project they decided to go with Kota Black Limestone, using our RF7 Project Pack which contains a mix of sizes which gives the pattern which can be seen in the case study gallery. These cobbles have been used in contrast to the kota black and create a large square effect. It has also been used as a subtle guide to entrance of the champagne bar.